Two thumbs up for Sunday funday. 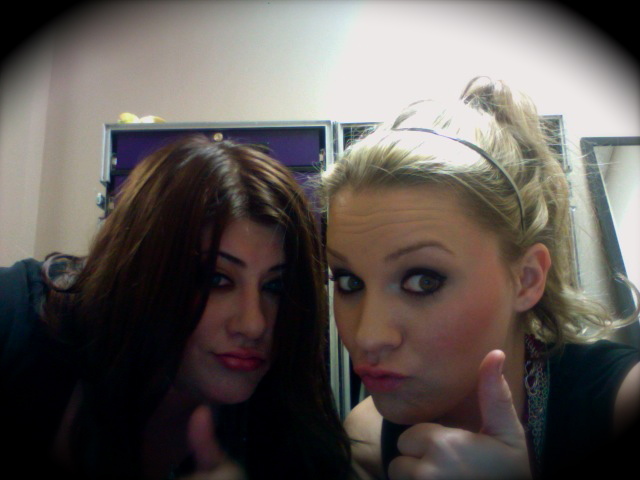 We took this pic last night during half-time (or the acoustic set)...haha! It's on TV right now...I have seen this movie a plethora of times but still love watching it. Sandra Bullock is one of my favorite actresses. Okay...now that we're all on the same page...time to get ready for the Ohio State Fair.